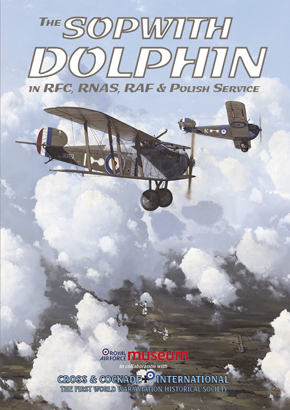 Trevor Henshaw's remarkable book of 20 years ago has now had all its original content thoroughly updated and expanded, so that the stories of almost 17,000 WW1 air personnel are now revealed. Every casualty sustained by all British, Commonwealth, and American airmen due to enemy action during the fighting is listed, with almost 6,000 entries and textual sections expanded or added. Deeper analysis of German material additionally proposes 3,250 links for these with German Flak and Jagdstaffel claims – namely over half as many again as the original edition. The book also now lists thousands of new names in an Accidents Addendum, covering 3,270 further accidents or mishap, between 1912 and 1919. All new material is identified to aid research. 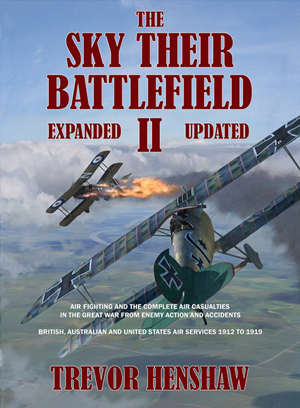 There are 289 mostly new photographs, nine new or updated appendices, and well over half a million words describing the British, Commonwealth and American fighting in the air, with entire sections re-written. Literally thousands of new sources have been found and incorporated.